Since the addition of PK Park (named after legendary Athletic Director Pat Kilkenny) and the return of the Oregon baseball program in 2009, the Ducks have grown steadily into a nationally recognized baseball team. Today, the Ducks made the D1 Baseball preseason Top 25 list at No. 22, one of only three Pac-12 schools (No. 4 UCLA and No. 24 Arizona State) to make the national preseason list. The 2015 Ducks will return six starting position players from a 2014 team that capped of a fantastic season at 44-20, advancing to the NCAA Regionals. Junior third baseman Mitchell Tolman, senior catcher Shaun Chase, and redshirt sophomore and left-handed pitcher Cole Irvin return this year as preseason All-Americans. 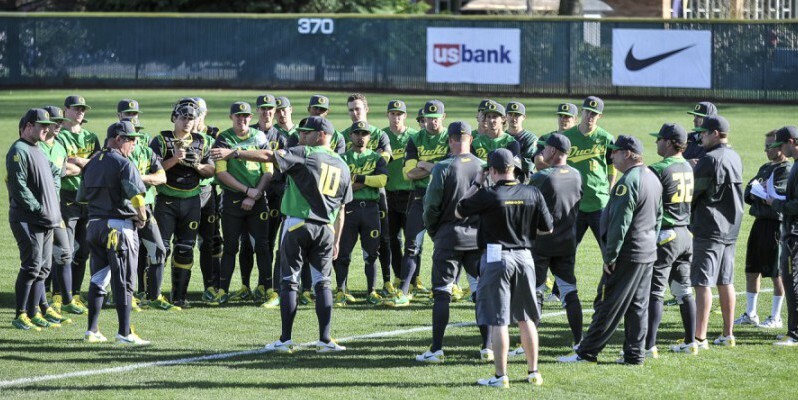 Since 2009, head coach George Horton has the Oregon baseball program on an upward trajectory. Sophomore Stephen Nogosek and freshman David Peterson are expected to start this year, bolstering a pitching unit that lost Jake Reed and closer Tommy Thorpe to the MLB Draft. 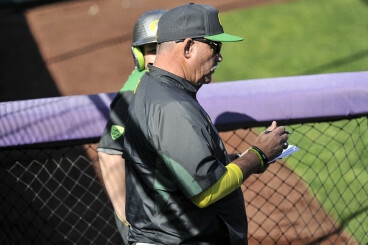 In five seasons, Oregon baseball head coach George Horton has led the Ducks to three 40-win seasons and three postseason appearances. Horton has focused on recruiting and the development of fundamentals to transform the Ducks’ baseball team into a nationally recognized program. The Oregon baseball season begins Feb. 13th with a 4-game away series in Honolulu against the Hawaii Rainbow Warriors. The Ducks return for their first home game at PK Park on Feb. 19, facing New Mexico State.